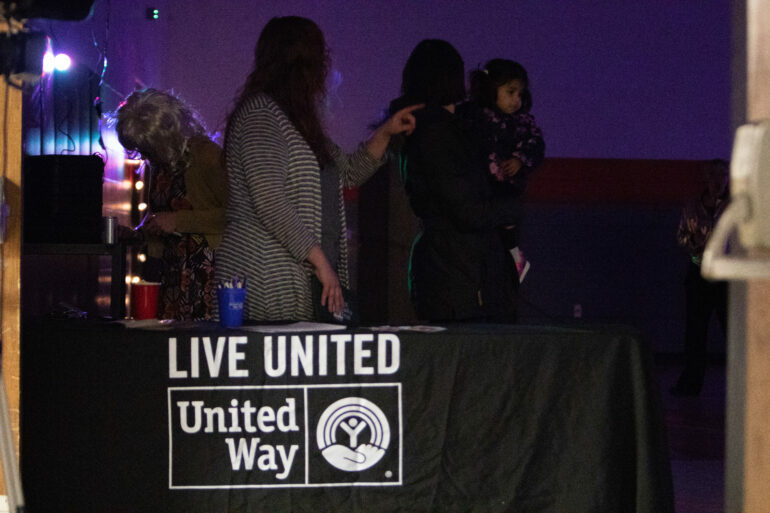 Roller skating and Dolly Parton music have come together to create United Way Vermillion’s annual Dolly Disco event. For the last five years, United Way Vermillion has been hosting a Dolly Disco event for Dolly Parton’s birthday to raise money for Imagination Library. The fifth annual Dolly Disco event was held at the armory on Saturday for Parton’s 73rd birthday. The Dolly Disco event included roller skating, Dolly Parton music, a photo booth and karaoke. There was also a free book giveaway, so each child could leave the event with a new book. Kelsey Collier-Wise, director of United Way Vermillion, said she was inspired to hold a Dolly Disco event because of a friend who was doing the same thing in Duluth, Minn.
Collier-Wise and Bekki Enquist-Schroeder, the event’s organizer, have a shared love of Dolly Parton music. Enquist-Schroeder said creating this event was a great way to share that with others while also raising money for the Imagination Library. Collier-Wise said since Dolly Parton started the Imagination Library in 1995, it spread across the country and ended up in Vermillion around 2002. Collier-Wise said usually the Vermillion event sees around 100 people, even in the cold winter temperatures. Ellie Pyles has been bringing her family to the Dolly Disco for the last five years and said they always look forward to it. Pyles has two children, ages two and five that she brought to the event. She said her five-year-old son is just discovering his love of Dolly Parton. Families usually return every year since the event has grown. Enquist-Schroeder said she loves to see these people come out every year to support the Imagination Library.